The Norman News is the the longest running live student news show on the planet. 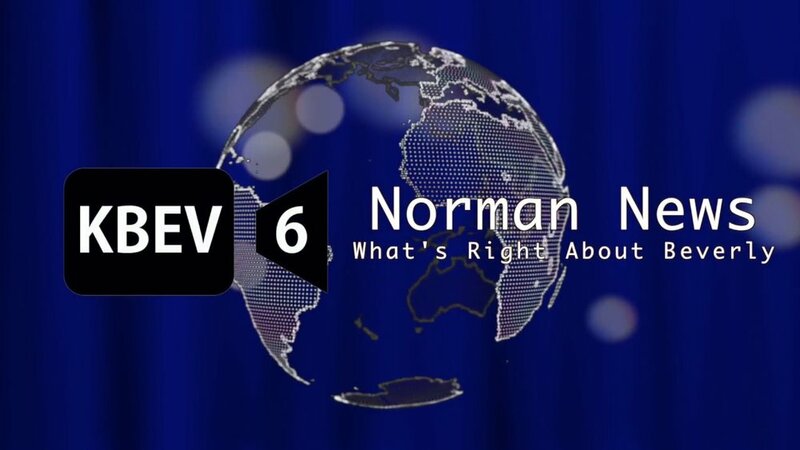 The Norman News service is produced by the Advanced Television and Advanced Broadcast Journalism classes on the campus of Beverly Hills High School and airs on Spectrum Cable KBEV channel 6 to 100,000 homes in and around Beverly Hills. The Norman Update is a weekly show from KBEV to give an update to students, parents, and staff about the upcoming week at Beverly Hills High School. Produced on the campus of Beverly Hills High School and airs on Spectrum Cable KBEV channel 6 to 100,000 homes in and around Beverly Hills.